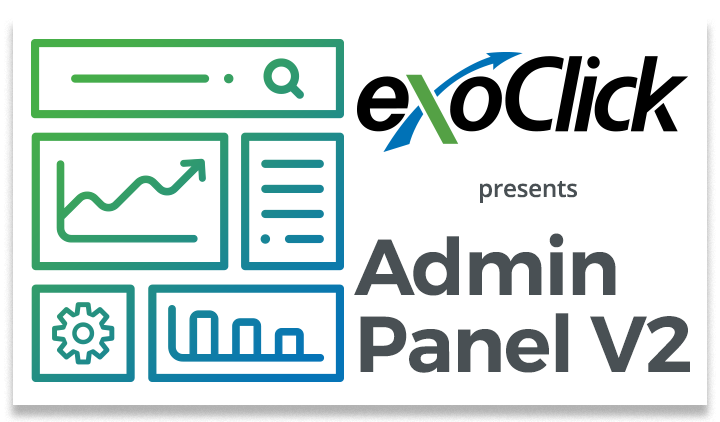 ExoClick, the innovative ad company, today announced it has launched a new version of its Admin Panel. Developed with Material Design, the Admin Panel version 2 features a new modern design and a large range of new features that facilitate a much faster and intelligent workflow. Version 2 is currently available in Beta and ExoClick clients can find the ‘Try our Beta version!’ toggle on button in their ‘My Account’ page. Please note the default is Admin Panel v1 until this button is toggled on. Benjamin Fonze CEO and Founder of ExoClick commented, “This is a major update of our Admin Panel. Built around our powerful platform API, its light design brings much faster loading times and provides a more intuitive workflow. The advanced multi-filtering options allow deeper evaluations and comparisons of statistics, groups of statistic columns can be toggled on and off as well as customised so that clients can really hone in on the effectiveness of their campaigns or ad zones. “Bulk campaign editing makes it easier and faster for advertisers to assign campaigns to landing pages and creatives. The integration of our powerful traffic share algorithms and the ability for clients to create their own bidding rules and algorithms with our hugely successful Bidder, take automation to the next level.